Artificial Intelligence is making its presence known everywhere. It’s even showing up on our farms. We recently reported on farmers using facial recognition to tell if their pigs are pregnant. 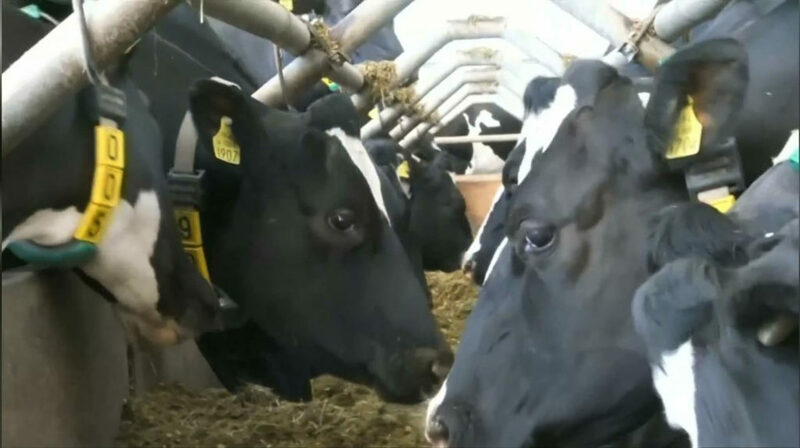 Well now at one dairy farm in southwest England, cows are being milked by robots thanks to AI and 5G networks. At the Agricultural Engineering Precision Innovation Centre (Agri-EPI Centre) in Shepton Mallet, about 50 cows have been fitted with 5G smart collars and ear tags. 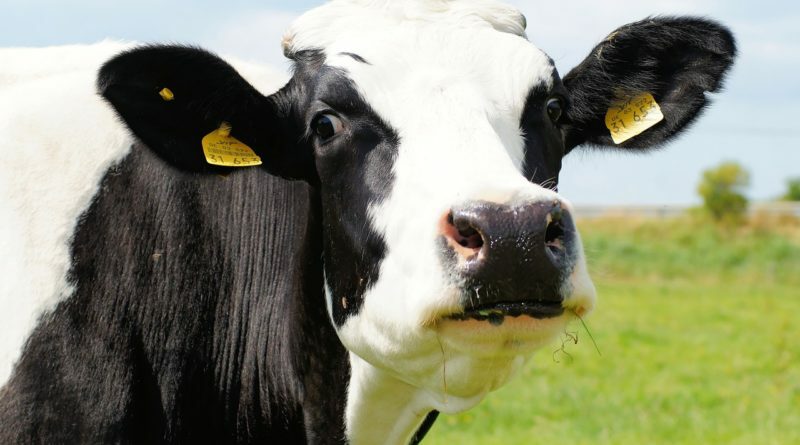 Sensors on the collars control a robot milking system while the ear tags help monitor health. When it feels like being milked, a cow will approach the gates which will automatically open. Cameras attached to the machine recognize the individual animal and adjust to perfectly fit their size and shape. 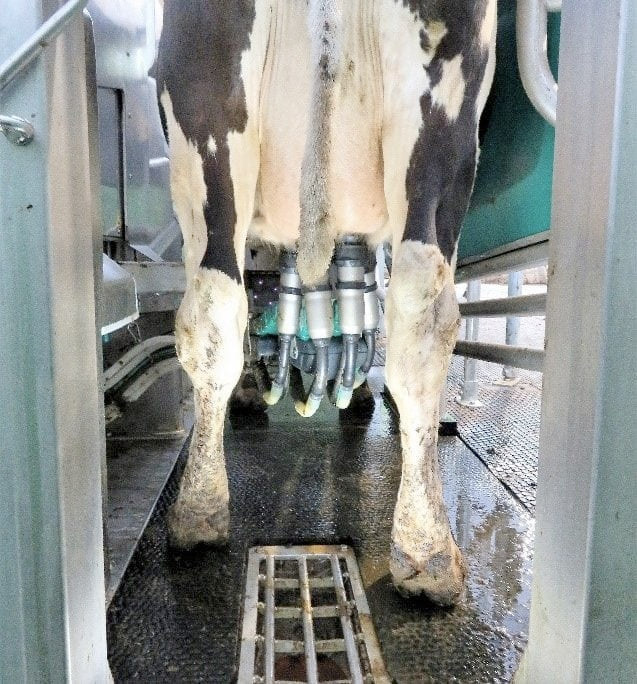 The device then automatically attaches the teats to the cows udders and the milking begins. The teats are self-cleaning and can clean the cow’s udders if need be so health is never at risk. During the process, the cow also gets to snack on a food reward. The devices, which do not harm the cows, also allow farm workers to monitor the cows in real time. They can track things like location, health, activity and milk production. For example, a sudden decline in milk production may indicate possible health issues. All of this data is accessible via an app. The process has been working well so far thanks to the speed of the 5G network. “We are testing the ability of 5G to transmit the data from our sensors much quicker, and not via the farm’s PC and a slow broadband internet connection,” said Duncan Forbes, Project Manager at the Agri-Epi Centre. Cisco Systems set up the network infrastructure. They have been testing wireless and mobile connectivity over 5g in three rural locations. You can learn more about their 5G Rural First Program here. “We can connect every cow, we can connect every animal on this farm. That’s what 5G can do for farming — really unleash the power that we have within this farm, everywhere around the UK and everywhere around the world.” said Cisco’s Nick Chrissos said. It’s not just robots milking cows. The dairy farm, which was set up with the support of Britain’s Innovation Agency, also employs a whole host of other technologies. There are curtains that open and close depending on weather, automated brushes that help keep the cows clean, and a smart feeding system that delivers food via ceiling-mounted rails.